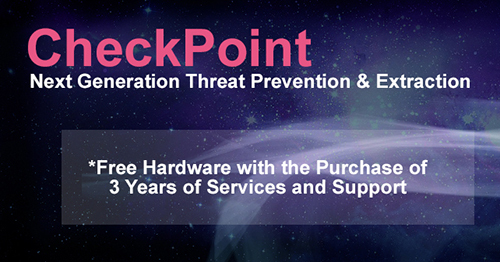 The Check Point 3100 Appliance combines the most comprehensive security protections to safeguard your branch and small office deployments. The 3100 appliance is available in a compact desktop form factor with a 320 GB hard disk. This powerful security appliance is optimized to deliver real-world threat prevention to secure your critical assets and environments. NGTP: prevent sophisticated cyber-threats with IPS, Application Control, Antivirus, Anti-Bot, URL Filtering and Email Security. NGTX: NGTP with SandBlast Zero-Day Protection, which includes Threat Emulation and Threat Extraction. There is a shift towards more use of HTTPS, SSL and TLS encryption to increase Internet security. At the same time files delivered into the organization over SSL and TLS represent a stealthy attack vector that bypasses traditional security implementations. Check Point Threat Prevention looks inside encrypted SSL and TLS tunnels to detect threats, ensuring users remain in compliance with company policies while surfing the Internet and using corporate data. Every Check Point appliance can either be managed locally with its available integrated security management or via central unified management. Using local management, the appliance can manage itself and one adjacent appliance for high availability deployments. When centrally managed administrators can define security policy for the entire network - including internal security, main sites, and remote sites - from a single, centrally located Check Point Security Management server. The 3100 Appliance protects organizations from both known and unknown threats with Antivirus, Anti-Bot, SandBlast Threat Emulation (sandboxing), and SandBlast Threat Extraction technologies. Dimensions (standard wxdxh) 8.28 x 8.27 x 1.65 in. 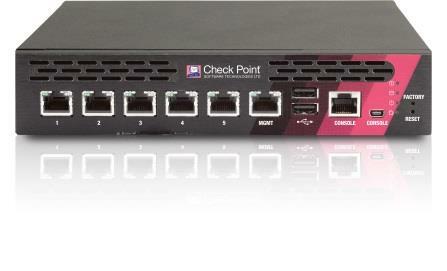 Download the Check Point 3100 Appliance Datasheet (PDF).